A lot of friends and my family already visited me here in Iceland. All of them raise the question sooner or later: What shall they bring from Iceland as a souvenir. And I am always in a tight spot – I start pondering, while they look at me, full of expectation. Sometimes I get clueless, the only thing I can respond is “I will think about it”. This isn’t a very helpful advice what to bring with them, isn’t it? So that’s why I came up with this list about the best, authentic and practical souvenirs from Iceland. The latter one (practical) is the most important to me as I think there is not much more senseless and useless than a souvenir you scrap at home. By the way: I am blessed with wounderful friends and a gorgeous family. Due to all their numerous visits I had this idea for this blog post. I love it so much to show my friends around and let them enjoy Iceland as much as I do. So here we go with the list of souvenirs I would recommended you to bring back home from this frosty little island. The Icelandic sheep is a special breed you only find in Iceland. And its wool is said to have safed Icelanders over the centuries from cold, rain and wind. Of course, also its meat, but let’s dicuss that later. 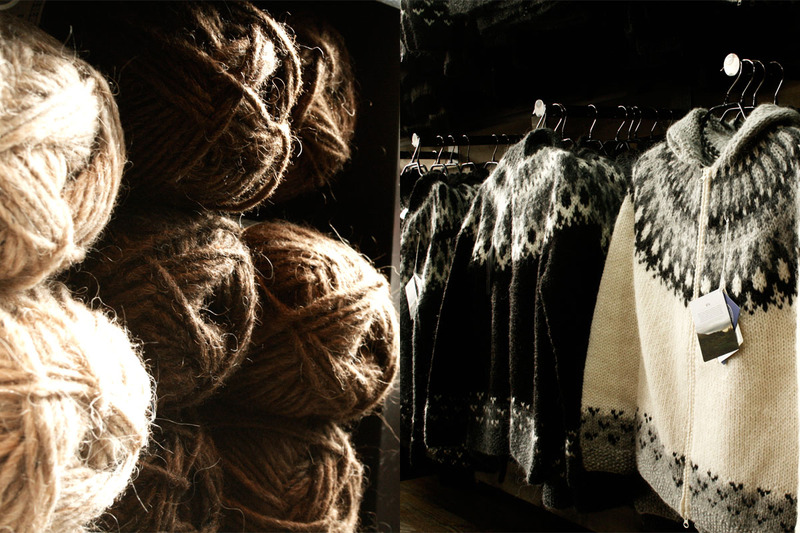 The maybe most famous product which is produced out of the wool is the so called Lopapeysur, the woolen sweater so typical for the (stereotype) appearance of Icelanders. This sweater, by the way, is in deed worn from the toddler to teenagers and adults everywhere around the country. It’s not just made up for selling in souvenir shops. What makes it so special is its characteristic “Icelandic” pattern. But also other woolen products , like gloves or hats, or simply a bunch of knitting wool are very handy. I have one Lopapeysur myself and I love it. Soon I will get me a new one. Unlike a lot of people claim, you won’t use it again once you’re back home, I think you can use it very well, especially, because European winter can get even colder than Icelandic winter temperatures. 2. Icelandic Snaps – Brennivín & Co. Snaps is, in my opinion, the most authentic souvenir anyway. If you spent at least one night drinking with the locals, then you illustrateviley experienced a country and its habits. The motto hence must be: “If you get hammered like the locals, you truly will experience a country”. 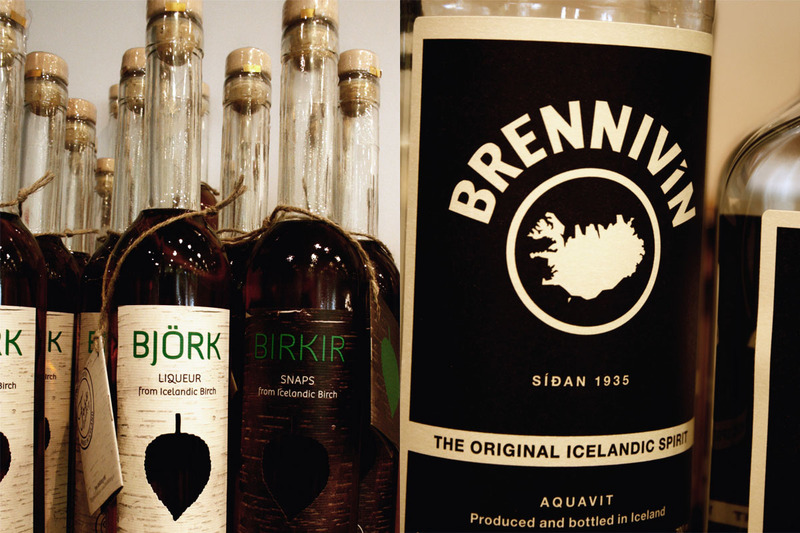 By talking of Icelandic booze the majority of people mention Brennivín, the often called “Black Death”, but there are plenty of other snaps, liqueurs & Co.
Birkir: In this significant snaps out of Icelandic birch there is also a twig inside the bottle. I very much enjoy this snaps as it tastes like Iceland smells. While drinking it you can imagine a walk on a sunny summer day in an Icelandic birch grove. Very characteristic snaps and very typical. Brennivín (also called the Black Death): Simply THE Icelandic snaps. 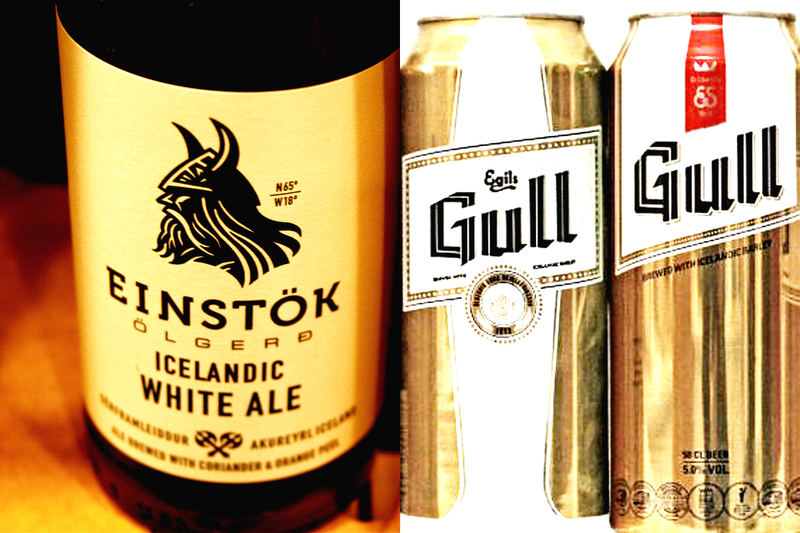 Generations of Icelanders brewed it themselves, so maybe that’s why it is the best known Icelandic snaps. The black label was originally created to scare people away from the plonk, but it had the contrary effect. The black death became legendary. I especially enjoy its caraway note. Brennivín leaves a nice soft taste on the tongue, but best is to try it yourself. Lava: This is a perfect snaps souvenir for girls as it is sweet and it is nicely coloured red. Beer is, I guess, always one of the best souvenirs you can bring with you back home. Especially for your masculine family members and mates. 4. Icelandic delicacies – Skyr, lamb & Co.
Skyr isn’t the only Icelandic delicacy you can bring back home to your loved ones, although it recently became one of the best known. Skyr: This traditonal dairy product resembles pretty much random curd, cream cheese or at least solid yogurt. But recently the whole world went crazy about it as it is naturally low in fat, but rich in proteins. All over the world dairy producer “copied” Skýr, what upset a lot of Icelanders. However, Skyr is original Icelandic, durable and therefore a perfect souvenir, if you don’t travel immediately back home. But pack it safe as it can get quite a mess in your luggage, if in case of leakage – trust me, I know what I am talking about! Hard fish aka. Harðfiskur aka stockfish: Not very low on odour and tender, it is nothing you should bring for your 85-year old grandma with false teeth (it is chewy as heck), but very healthy and so typical for Iceland. 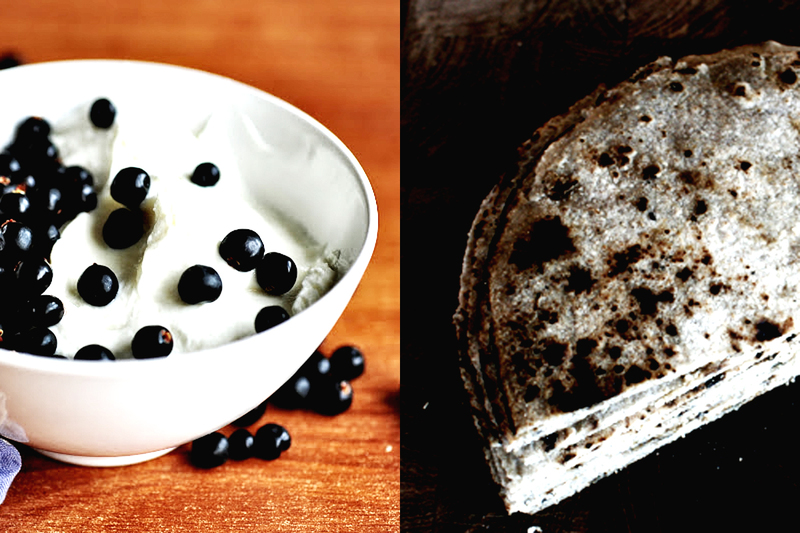 For centuries harðfiskur was – just like Skyr – the saviour in Icelandic nutrition. Licorice: This sweet is truly Scandinavian. Icelanders love their licorice in all variations: You can get it pure, coated in chocolate, as drops and lollipos, pretty sweet or rather spicy. There is also a – quite disgusting – licorice liqueur available, but I wouldn’t recommend this one. Flatkökur: This is an Icelandic flat bread which is often served with a lot of butter and sliced smoked Icelandic meat. If you should decide to choose this as something to bring back home, make sure you will eat it right away after you arrived there as it has a very short shelf-life, like most Icelandic foods by the way due to the lack of too many conservation additives. Kleinur: Icelandic donuts, called Kleinur are very tasty and waaaay better than Dunkin Donut, which recently opened stores in Iceland. I especially enjoy the subtle note of cardamom and they’re not so sweet. For Kleinur the same applies like for Flatkökur: Eat. Them. Quickly! Icelandic lamb: You can find different kinds of lamb meat: Like mentioned before as smoked Hangikjöt for flatkökur or other bread dishes. You can, of course, get it fresh or deeply frozen (which is maybe better for transportation). This is something very special and authentic. 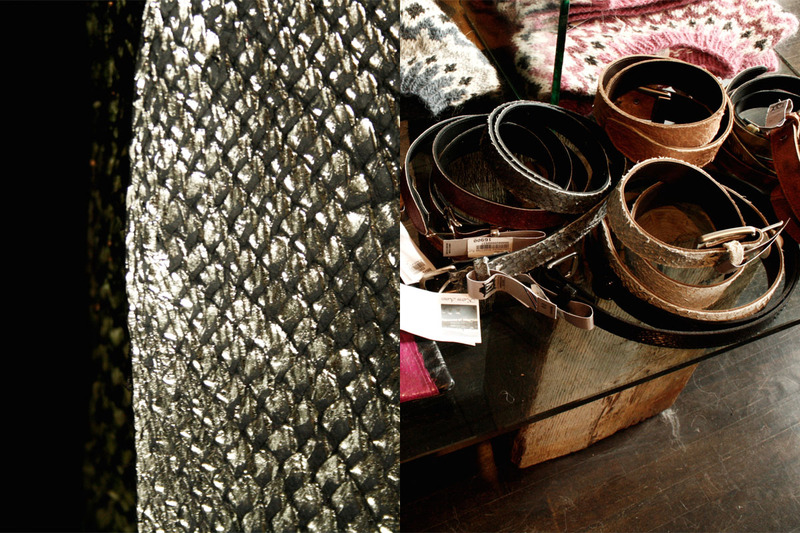 Fish was and is one of the most important products of Icelandic economy, so fish leather is another authentic souvenir from Iceland. This one, however, is not the cheapest one. It is available as accessoires like ties, bow ties, belts, bags and my favorites: Earrings, for example from MISLeather. Iceland is a literature-crazy nation. They write and consume books like no other nation on this planet. 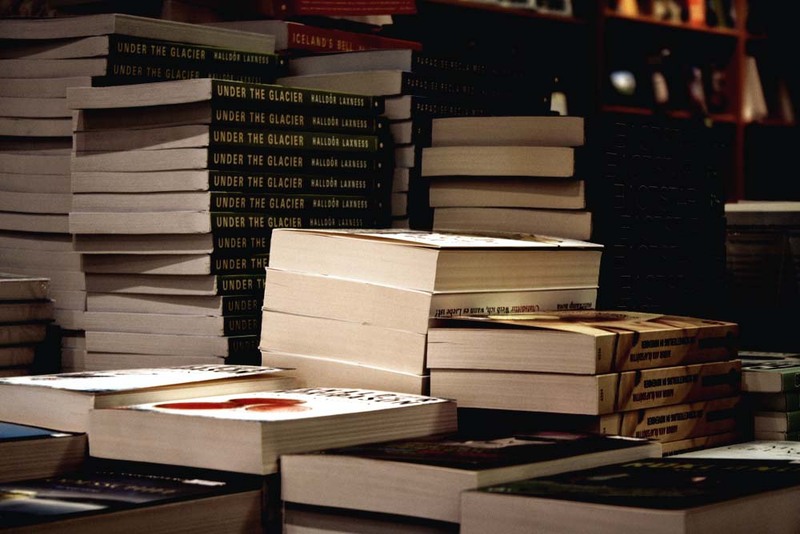 Maybe it is the long, dark winter, that make Icelanders so in love with books. Consequently it is also one of the best alphabetised countries. Therefore I think, a book is a wounderful Icelandic souvenir. You will spend hours pondering through one of the numerous book stores as there are plenty of interesting authors and stories. And, Yes: Besides books in Icelandic you are able to find books in English, German, French, and so on, too. As Iceland is literally a big, growing chunk of lava in the middle of the North Atlantic ocean, it can also be nice to bring back home some jewelry made out of lava. No worries, they aren’t as heavy as one might think, lava is rather light material. I think “Handmade with love by Svava” are nice- her earrings and necklaces are reasonable in price and very pretty. But as usual with jewelry, you can spend a lot more on Icelandic lava jewelry. But watch out, I read that some of them are crafted with “fake” Icelandic lava.